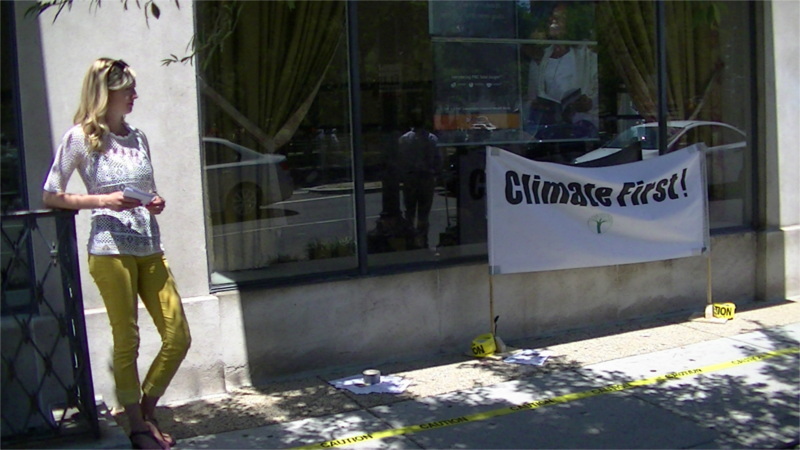 On the 5th of July, a PNC Bank account holder backed by Climate First! and Earth Quaker Action Team showed up at PNC Bank to demand that they stop investing in mountaintop removal coal mining. On Sunday, the 13th of July, thousands will march from the US Capitol to the Federal Energy Regulatory Commission against fracking and against fracked gas export from Cove Point, MD on the Chesapeake Bay. The march will be gathering on the West side of the US Capitol along 3ed st NW on the Mall, bounded by Madison Drive NW and Jefferson Drive SW, which is the center area. Meet at the rolling infoshop cart under the red and black flags, wear black T-shirts. 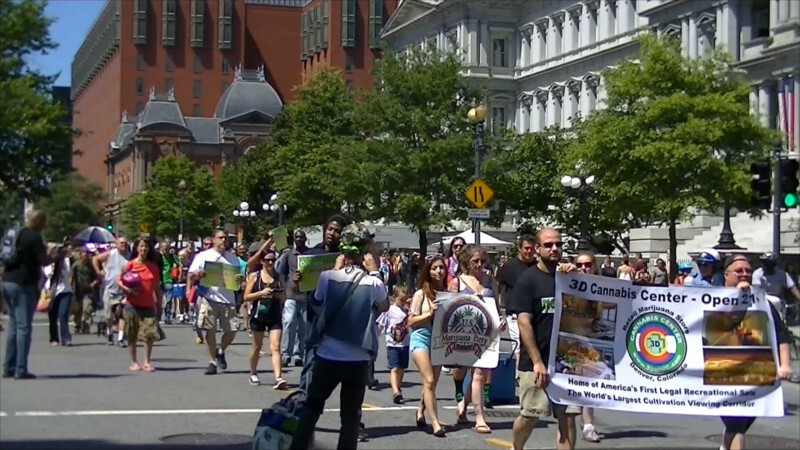 On the 4th of July, the annual Hemp/Cannabis legalization march had to pass through the Mall bag search checkpoints, at least one arrest was reported just past the checkpoints. Some others refused to enter the concert area due to the checkpoints. Those checkpoints are probably why this march and concert no longer draws the thousands it used to before George W Bush brought public event checkpoints to DC. DC is on the verge of legalizing pot, so long as a certain Congressman from MD's Eastern Shore does not succeed in derailing DC's decision. There is a call for a boycott of MD Eastern Shore products due to his interference. 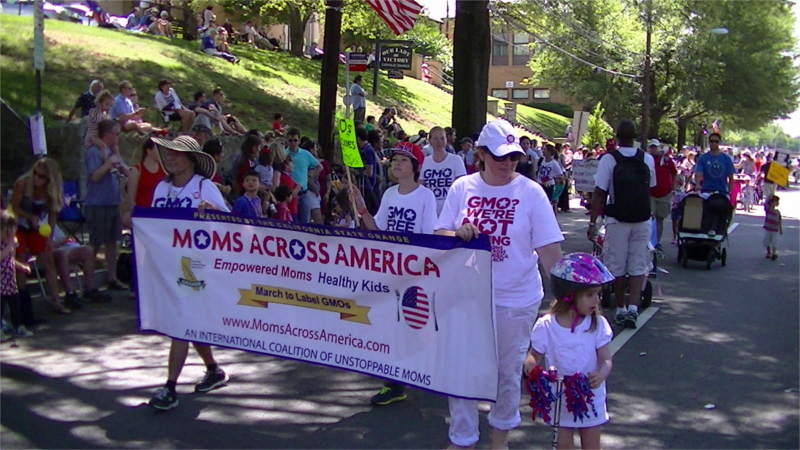 On the 4th of July, the Palisades 4th of July parade included a "Moms Against Monsanto" contingent organized by Moms Across America. They showed up with young children in tow, objecting both to GMO foods and to Roundup in food making its way into breast milk at over 1,000 times the levels permitted in European drinking water. 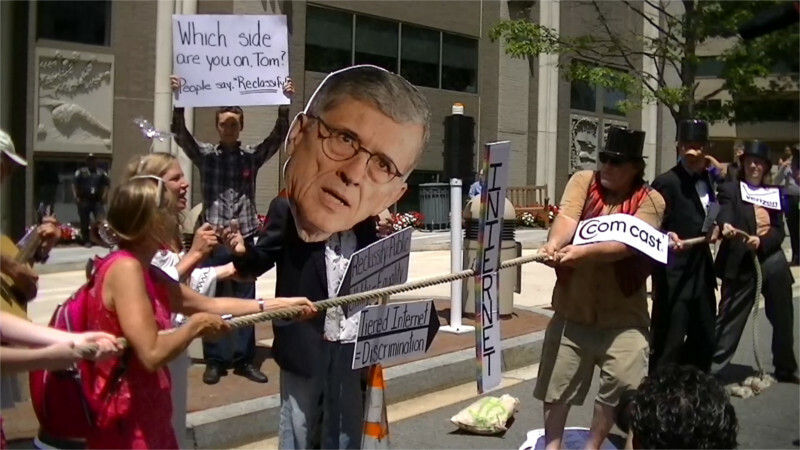 On the 1st of July, net neutrality activists returned to the offices of the FCC, this time staging a tog of war between "the Big Telecoms" and "the People" with FCC Chairman Tom Wheeler as a bystander. Suddenly, Chairman Wheeler changed his mind, joined on the side of the people, and the resulting greater force pulled down Comcast, Verizon, and At&T.